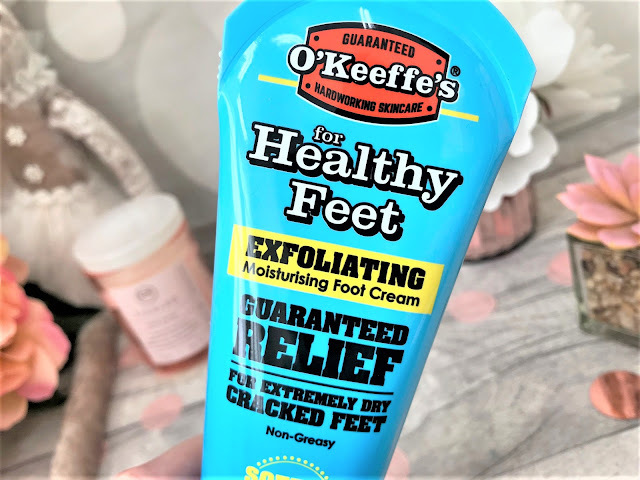 I have tried quite a few products from skincare brand O'Keeffe's before, and they have been a lifesaver for my Dad's skin as he suffers with very dry, itchy skin due to medication he has to take for his rheumatoid arthritis. So when O'Keeffe's recently asked if I would like to try their Exfoliating Moisturising Foot Cream, I jumped at the chance. Whether it Winter or Summer, my feet take a battering, and when Spring rolls around, it always time to get my feet in tip top condition, because I absolutely live in flip flops and sandals once the sunshine appears. My feet aren't in terrible condition, but my heels do tend to get quite dry and a regular moisturiser just doesn't cut it. 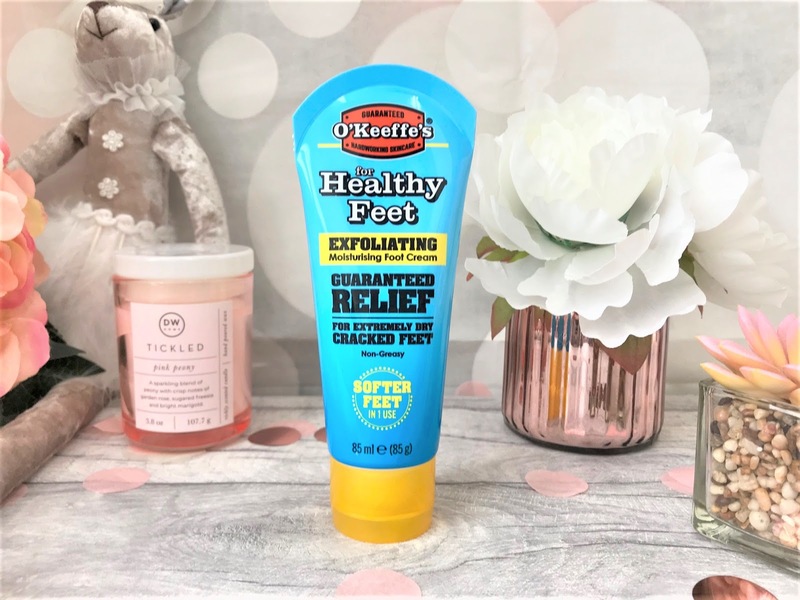 The O'Keeffe's For Healthy Feet Exfoliating Moisturising Foot Cream has been formulated with a unique creation of moisturising ingredients which instantly improve dry and cracked skin. The cream itself has a fresh, minty scent to it, which is perfect for the feet, and texture-wise it is a creamy balm, which feels super luxurious on the skin. Due to the thickness of the balm, this protects the skin and keeps it moisturised for up to 48 hours. Some foot creams can be quite greasy, which can be a pain for putting shoes and sandals on afterwards, but this sinks into the skin instantly and doesn't leave behind any greasiness or residue. Just soft, smooth feet ready for those sandals. The O'Keeffe's Exfoliating Moisturising Foot Cream costs £8.49 for 85ml and you can find it in-store and online at Boots.